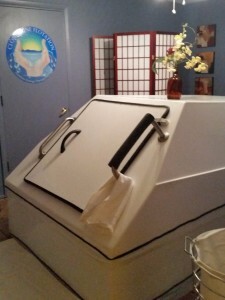 Floating in an Oasis Relaxation System tank may be one of the most pleasurable, relaxing and enriching experiences of your life. The warmth, comfort and ease of floating gravity free… the peace, quiet, and time for yourself … the discoveries of deeper levels of self… the joy of functioning more effectively in your world… these pleasures are among the many mentioned. Oasis believes the benefits of floating in an Oasis System are greater than those achieved through other forms of relaxation. However, they don’t pretend that floating is the only preventive health care method a person should use. Nutrition, exercise, and relaxation, energy work and mindfulness, should all be woven into a person’s lifestyle and needs. 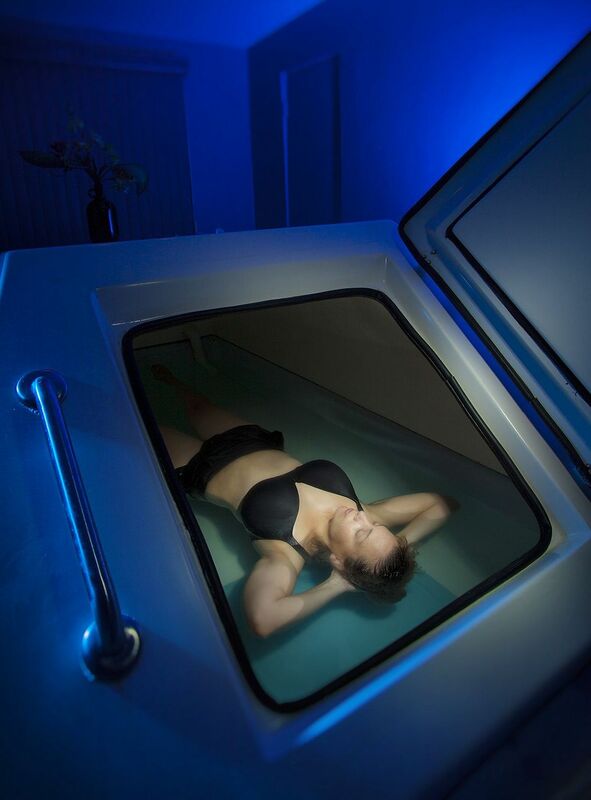 Floating should be an essential part of an individual’s total fitness and health care program. Two Tanks! It’s ALL about the Water. 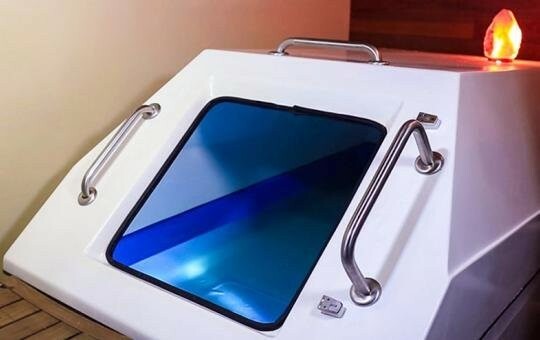 Cloud Nine Flotation offers two unique tanks for your relaxation and comfort. Our Oasis Tank is a new tank, made of fiberglass, with 3 inches of insulation around the walls to insure you get the quietest float possible. The temperature of the tank is kept between 94.5-95.5 degrees fahrenheit. The air temp is around the same. 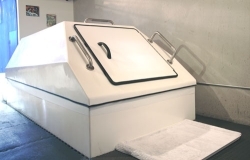 The water is pristine and filtered daily 3-5 times between float clients using a 5 stage purification system. At Cloud Nine we start with Reverse Osmosis Water (not Tucson municipal), which is further filtered through a structured water filter with shungite. The first line of defense is 800 pounds of epsom salts. Nothing can live or grow in that environment. Next the water is treated with Hydrogen Peroxide, travels through a microfilter, moves through a UV light, then an Ozonator before it makes it’s way back into the tank. Using Doctor Masaru Emoto’s (from The Hidden Message in Water) method of structured water, words of encouragement and purity are also strategically placed on the tanks. The Oasis Color Tank is a vintage 1990’s fiberglass shell that has been completely refurbished. All the components are state of the art and new. From the transducers to the pump, to the LED color changing light in the cabin, everything has been done with your comfort in mind. Originally this tank had a video port in it, and that has been transformed into a color therapy port that you can control within the tank itself. We at Cloud Nine feel grateful to have brought this tank back to life, and recycled it for today’s floating community.